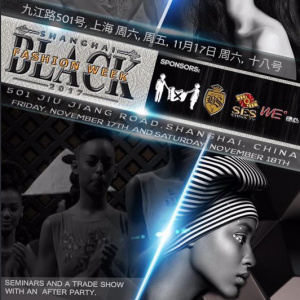 Shanghai Black Fashion Week 2017 is almost here: November 17th-18th! We are pleased to announce the arrival of China’s first and only fashion event aimed at showcasing diverse, underground fashion talents from all over the world. Join us for an exciting weekend of style and surprises at Dobe We@Bund in the heart of Shanghai. Learn more, meet the designers involved and purchase tickets at www.shanghaibfw.org. As the world finishes up months of Fashion Week runways, red carpets and interviews, Shanghai will unveil a secret world full of life, color and style. Enter Shanghai Black Fashion Week (SBFW) 2017, a weekend of fashion shows, seminars, trade shows and parties showcasing China’s hidden and diverse fashion talents. From the surprising to the awe-inspiring we are going to take Shanghai on a ride through the eclectic minds of China’s most fashion forward underground, professional and amateur designers.